Forget mice and keyboards, or even finger swipes and taps – the future of web browsing is voice control. Or, at least, that's what Mozilla seems to think, as it begins work on its new Scout project. With Amazon's Alexa, Google's Assistant and Apple's Siri making waves in the voice assistant and smart speaker spaces, Mozilla appears not to want to be left behind. A note for an internal all-hands meeting describes Scout as an attempt to "start to explore browsing and consuming content with voice." It's clearly very early days for the project, with little other detail to go on, but it explicitly calls the project a "voice browser", keeping it very much in the Firefox dev's usual wheelhouse. "This talk will discuss the architecture and key components needed for a voice platform, the required capabilities of those components and the challenges of working with the limitations and confines of existing platforms," reads the listing. 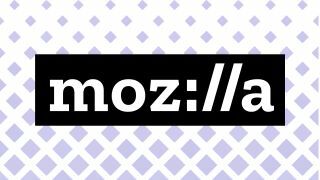 In a statement given to Cnet, Mozilla confirmed it was experimenting in the space and would be "discussing these efforts publicly when they are further developed." In terms of accessibility, a browser that could fluently and intuitively be controlled by voice alone would be a game changer, especially as so much professional and personal PC use is now channelled through a browser. And, on top of that, Mozilla has a great track record for protecting privacy and user data. With there still remaining some skeptical quarters in relation to always-listening voice control, Mozilla could prove a trusted entry point for privacy advocates.